Krum ISD will be hosting the 2019-2020 Pre-Kindergarten Round-Up Wednesday, May 8th from 8 a.m. to 5 p.m. at the Early Education Center. Click the headline above for more information. Here at Krum ISD, we welcome and encourage parents, grandparents, guardians, as well as other patrons of this district to be come involved by volunteering and attending field trips. All volunteers MUST be cleared through our background screening. Please click above to complete our online application to participate in campus activities. Krum ISD will be hosting the 2019-2020 Kindergarten Round-Up Wednesday, April 17th from 8 a.m. to 5 p.m. at the Early Education Center. 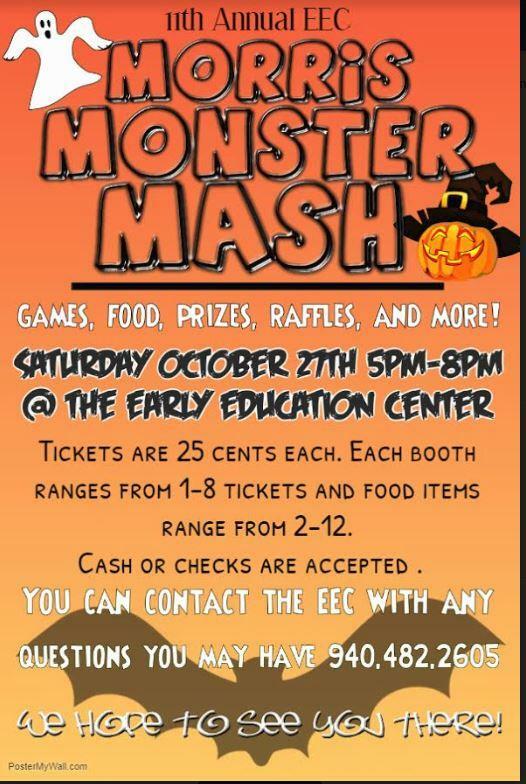 The 11th Annual Monster Mash is set for October 27th! 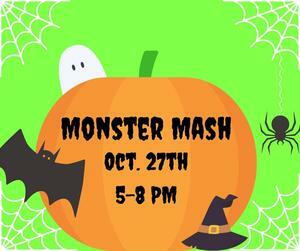 The fun-filled Morris Monster Mash is an annual event that families around the area look forward to each year. The family-friendly school carnival is packed with games, food, vendors, and more. Come see what all the fun is about!